Schruns is the biggest ski resort in Montafion arena. Schruns (700m - 1300m) in the middle of the valley is closest to the ski areas on Hochjoch and Golm and a convenient base from which to explore the Silvretta Nova and Gargellen ski areas. 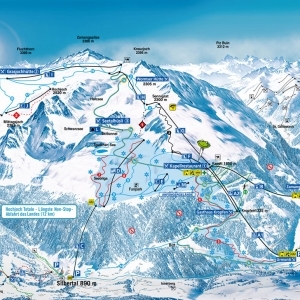 Being the two main resorts, they offer more other activities including Aktivpark Montafon sports and leisure park and a greater choice of restaurants, bars and shops in the centre of Schruns. Ernest Hemmingway visited this Montafon Region village in 1925, 25 years before the first lift was built. He fell in love with the place, located close to Swiss and Italian borders. Schruns is very easy to get to. You can fly to Zurich or Menningham and then take a train straight to Schruns with only 1 change, on the same platform. The transfer takes about 1 hour and the train costs about £40. Most of the skiing is above 1850m, reached by chair or cable car from the village. So its low altitude is not normally a practical problem, and it's an excellent run down when snow cover is complete. 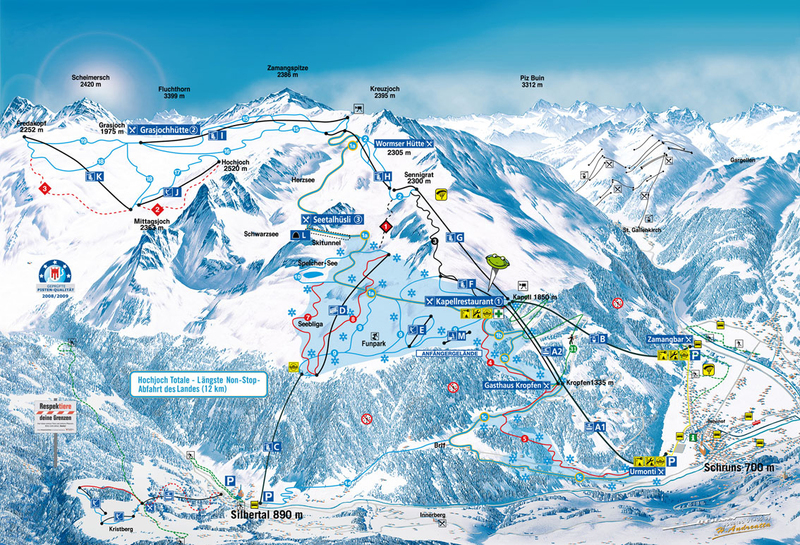 243 km of marked runs at various degrees of difficulty ensure an ideal range of snow sports activities across the ski areas in Montafon. Scarcely any other region offers so much winter sports variety as Montafion - beginners are gently introduced to the steep mountain world, but advanced skiers are also happy here.